Metallica will perform a benefit concert for The Native Fund in Iowa as part of their North American tour this summer. The June 9 event at the Iowa Speedway in Newton, Iowa – with tour mates Avenged Sevenfold and Volbeat – sees the metal icons supporting the charity founded by actor Ashton Kutcher and NFL star Dallas Clark in 2008 as a way to give back to the local residents of the state they both grew up in. 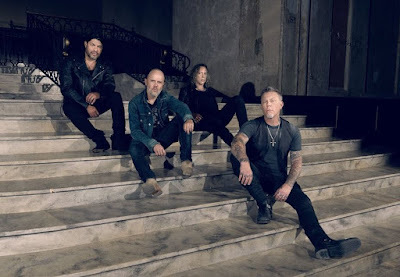 “They are committed to raising funds and organizing resources that can be used to assist the people of Iowa in their times of need,” says Metallica, “including relief through its financial and programmatic resources to Iowans suffering from a natural disaster, to post-9/11 veterans who are in need medical or other assistance, and to children afflicted with life-threatening illness or disease. A Fifth Member presale starts April 19 at 9:00 AM local time, with general public tickets available April 21st at 10:00 AM local time via Ticketmaster.com. The trek begins in Baltimore, MD on May 10.